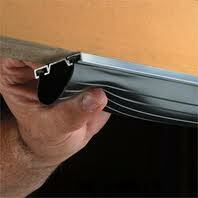 If you want to set up a garage door weatherstripping Thornhill service, we are the number one company to turn to. We can send out a local technician the same day of your call. The specialist will install garage door weatherstripping quickly and double check that all gaps and cracks are sealed well.As a garage door happens to be one of the entrances to your home, it needs to be serviced good. The foremost thing you should care about is that your garage door has intact weather seal.In order to protect your property and home in Thornhill, Ontario, call us for garage door weatherstripping installation now. 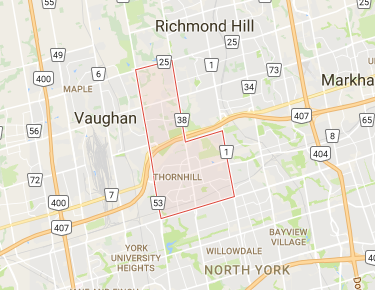 Garage Door Repair Thornhill is well-known for excellent customer care. We dispatch only licensed and insured technicians that use high-quality materials for weather stripping. Backed with years of experience, the local experts strive to deliver perfect results at all times.Our company is here to provide our customers with energy-efficient solutions that will be helpful in the long run. So, don’t hesitate to call us whenever you need to seal your garage door. There are two kinds of weather seals that should be installed – garage door bottom seal and side and top weather stripping. The local tech can complete this job in a matter of hours.In case your weatherstripping is damaged, air,dust, water and pests will enter your garage. In that case you should consider weatherstripping replacement. Our Thornhill garage door weather seal service is the environment-friendly solution for your home.It helps keeping improper temperatures at bay. Hence, it can decrease your electricity bills. So, don’t neglect proper care and call our company for a seasonal maintenance. From garage door bottom weather seal replacement to the inspection of the space between the door and the door jamb, the tech will do what it takes to ensure perfect weatherproofing. When hiring our company, you will get nothing but excellent service at a reasonable price. Call us today for a seamless garage door weatherstripping in Thornhill. You will be glad you did!